The Botanical Garden, Bonn or Botanischer Garten Bonn is a popular tourist attraction being an outstanding botanical garden. Long back in the year 1340, the garden used to be the private castle property of Cologne’s Archbishop. Gardening and horticulture enthusiasts always find this place an undoubtedly rich spot visiting which, one can learn a lot of about different plants and their different traits. Almost 8000 plants and thousands of trees make the whole place beautifully dense. The greenhouse of the garden is a strong feature which tourists always like to explore. 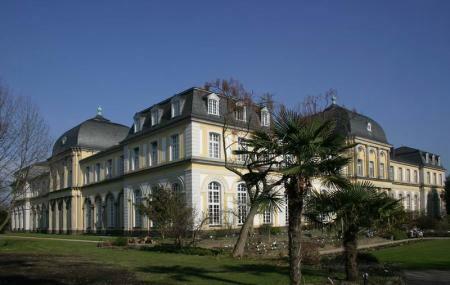 The other significant features of the Botanical Garden, Bonn are Succulent house, Fern house, Palm house and much more. Buses 603, 601, N5, 602 to stop - Bonn, Beringstr. How popular is Bonn Botanic Garden? People normally club together Catedral De Bonn and Arithmeum while planning their visit to Bonn Botanic Garden.